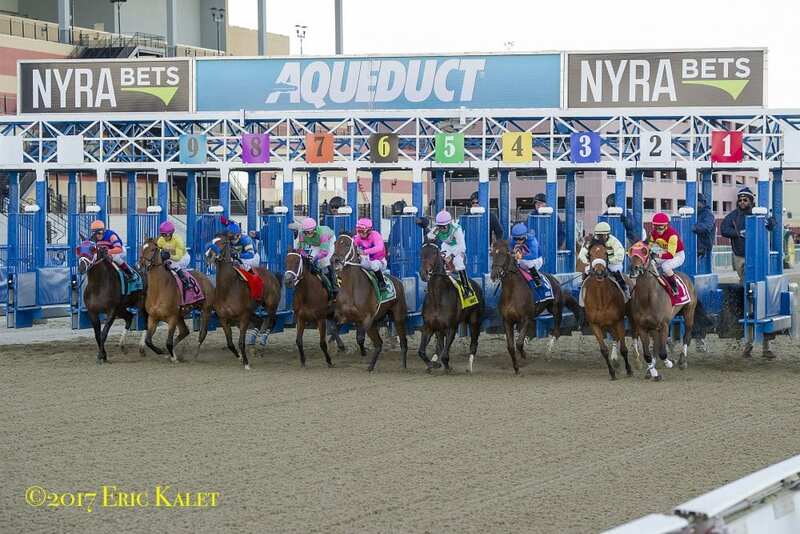 The Pick 6 went unsolved for a second straight day, resulting in a $47,180.40 carryover into Saturday's Thoroughbred racing card at Aqueduct Racetrack in New York. Friday's Pick 6 sequence kicked off with maiden breaker Coach Villa. Trained by Hall of Fame conditioner Nick Zito, Coach Villa found the winner's circle at ninth asking in Race 4, returning $15.40 on a $2 win bet. Freudnme made his career debut a winning one when he defeated fellow New York-breds in Race 5, returning a generous $34 for trainer Chris Englehart. Jockey Jose Lezcano took control of the sequence in Race 6 as Wantagh Queen [$15.40] reigned victorious over the outer turf for trainer David Donk. Lezcano doubled up with Fillet of Sole, who made a strong late-closing kick down the stretch to capture Race 7, where he paid $12.40 as the co-second choice. The red-hot Lezcano completed the hat trick when Fast Getaway blasted to victory in Race 8 at a $2 payout of $5.80 for trainer Linda Rice. In the final leg of the sequence, Grand Banks split horses and drew off to give trainer Jimmy Bond the Friday finale paying $8.30. A consolation payout of $1,937 was awarded to bettors who had five of six winners in the Pick 6. Live racing resumes Saturday at the Big A with a 9-race card. First post time is at 1:30 p.m. with the Pick 6 beginning in Race 4 with a 3:03 p.m. post time and will include the featured $200,000 Top Flight Invitational in the penultimate leg of the sequence. This entry was posted in Horseplayers and tagged aqueduct, aqueduct pick 6 carryover, betting on horses, carryovers, Horse Racing, horseplayers, thoroughbred racing by NYRA Press Office. Bookmark the permalink.